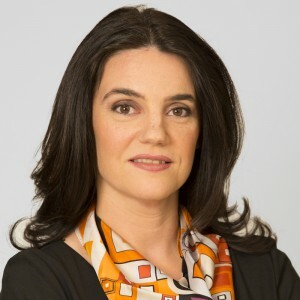 Co-head of the firm’s Public Procurement and PPP practice together with Adriana Gaspar and of the Corporate/M&A practice together with Gabriela Cacerea, Ruxandra Bologa and Adriana Gaspar, and Head of the Telecommunications and Media practice, Adina Chilim-Dumitriu is particularly experienced in the sectors requiring technical knowledge and abilities – public procurement, telecommunications and energy. With over 22 years of experience at NNDKP, she is renowned for handling large mergers and acquisitions deals; has assisted various clients in respect of their participation to public procurement procedures, borrowers and lenders in connection with complex financing transactions and has developed particular expertise in the gas field, as well as in cross-border energy projects. providing legal assistance in connection with a five-nation trans-border energy project to construct and operate a natural gas pipeline linking production areas in the Caspian Sea and Middle East regions to Central and Western Europe, consisting in detailed legal analysis and presentations of Romanian law matters relevant to the Project, review of various project documents (such as Inter-Governmental Agreement, Project Support Agreement, etc.) and providing comments in respect thereto from Romanian law perspective, etc. Sources highlight her ability to “give complex advice on a technical matter”. Highly revered department head Adina Chilim-Dumitriu is a deeply respected practitioner in Romania’s TMT market. Adina Chilim-Dumitriu, […] is “an outstanding professional with a broad understanding of the [PPP and Procurement] industry”. Adina Chilim-Dumitriu [is] “very responsive, in depth analysis of the issues, supportive, solution oriented”. Adina Chilim-Dumitriu is highly regarded for her expertise in natural gas. Clients describe her as “very flexible and business-oriented, and able to adapt quickly to the client’s demands”. Practice head Adina Chilim-Dumitriu is a highly respected industry specialist with extensive experience of matters in the telecoms and media sectors. Clients praise her attitude and the quality of her work, saying: “She is very helpful and proactive, always going beyond the standard to give more than expected”.